Peter and his four siblings lost their mother when he was just two years old, and their father abandoned them not long after. As such, the family have lived at Dream Children’s Home for the past 13 years, where Peter, the youngest of the five, has taken it upon himself to pull his family out of their desperate situation. He already watched his three oldest siblings drop out of school for various reasons, and is determined not to let himself or his twin brother follow in their footsteps. In a clear demonstration of this determination, Peter’s excellent composure and attitude earned him the title of Head Boy at his primary school. This position allows Peter to exercise his natural talent for diplomacy; he often spends his time talking with his fellow classmates and resolving any issues that may be brewing between the students. He also acts as a role model to the younger students, teaching them good behavior and encouraging them to focus on their studies. Peter’s organized nature and focus on schooling have helped propel him along in this role. 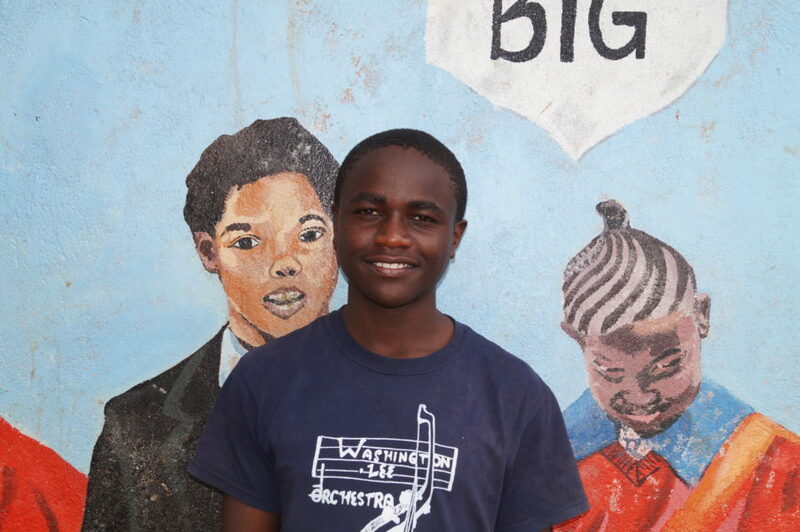 Peter tells us that his favorite subjects are English, Mathematics, and Kiswahili, and he also enjoys playing soccer and basketball, listening to music, and reading storybooks in his free time. Though he has not been given the best examples to look up to, Peter has become an example himself, and he is determined to do great things for his family. Help Peter become the leader he is meant to be by sponsoring him today! Supporting Peter's secondary education is $85/month. Thank you for sponsoring Just One!